This Situation Update describes events occurring in Bu Tho Township, Hpapun District during the period between September and 5th November 2016. The Situation Update includes livelihood, drug, illegal logging, health, education and landmine issues. 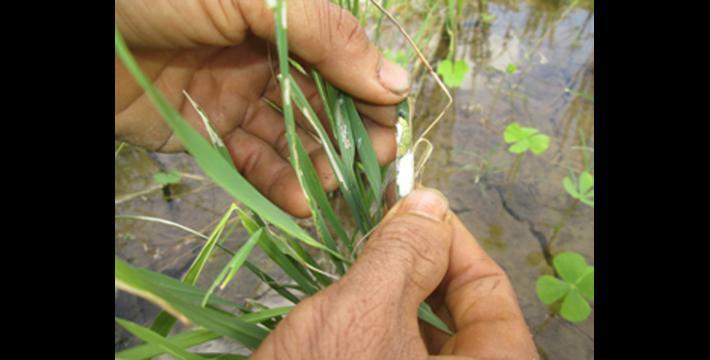 Civilians in every Township in Hpapun District are concerned about their livelihoods because various insects and rodents have been attacking their paddies since 2015, and it has not stopped yet. Drug use and sales were formerly restricted due to the involvement of armed groups. However, after the 2012 ceasefire civilians in rural areas have been increasingly using and selling yaba [methamphetamine] and other drugs. People planting kratom (drug)has been increasing since 2015. Therefore, during June and July 2016, KNU police and some KNLA soldiers cooperated to eradicate kratom and arrest people who planted it. Bu Tho Township KNU Forestry Department administrator and a Karen National Defence Organisation [KNDO] officer from Bu Ah Der village tract patrolled the area between A--- area and B--- area on September 12th 2016, at 7:00 AM. They arrested three illegal logging conductors who live in C--- refugee camp but one was killed during the arrest. KNDO or KNU police accidently killed one of the conductors when they fired warning shots toward the illegal loggers as they fled. Villagers from Hpa-an Township, have been displaced to D--- village, Bu Tho Township due to fighting between Border Guard Force (BGF) and a splinter group of Democratic Karen Buddhist Army (DKBA). Those displaced villagers repaired an old school in D--- village so their children could go to school before they can return to their village. In October 2016, a Karen National Liberation Army (KNLA) Battalion Commander stepped on an old landmine that his friend had planted in his area. He has since been discharged from the hospital. The following Situation Update was received by KHRG in November 2016. It was written by a community member in Hpapun District who has been trained by KHRG to monitor human rights conditions. It is presented below translated exactly as originally written, save for minor edits for clarity and security. This report was received along with other information from Hpapun District, including four interviews, 63 photographs and four video clips. This Bu Tho Township Situation Update report was collected between September and November 5th 2016. This Situation Update includes issues concerning civilians’ livelihoods, drugs, illegal logging, health, education and landmines. 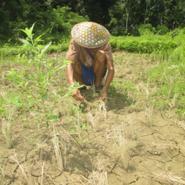 Civilians in Bu Tho Township mainly work on hill farms for their livelihoods. 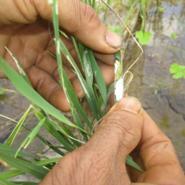 When civilians plant paddy, various animals such as mice/rats, caterpillars and other tiny indiscernible insects attack their paddies. Animals have been attacking civilians’ paddy since 2015 until now, 2016, and this problem is still happening in every township. In the period between 2000 and 2010, we did not see many [people using or selling] drugs [yaba and kratom] and we heard drugs were only used among Democratic Karen Buddhist Army [DKBA] and Tatmadaw [soldiers]. After the January 12th 2012 preliminary ceasefire agreement between Karen National Union [KNU] and Burma/Myanmar government, people using and selling drugs has increased because people in rural areas are now also using and selling drugs. People planting kratom [drug used as an opium substitute] has increased since 2015. 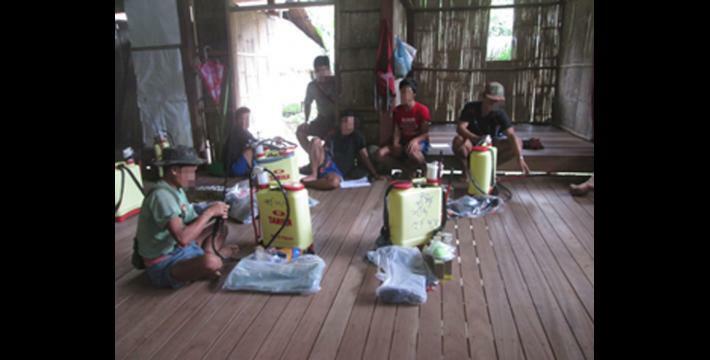 Therefore, the KNU ordered their police and the Karen Nation Liberation Army [KNLA] to go around and eradicate kratom plants. Between June and July 2016, KNU police and some KNLA soldiers in Bu Tho Township cooperated to destroy the kratom plants. KNU police and KNLA soldiers arrested some people [who planted kratom] in E--- village and F--- village, but I did not get their names. In July 2016, KNLA Battalion #102, Company #4, who patrolled in G--- area, also arrested some people [who planted kratom] and they took them to Bu Tho Township [KNU] police station. I report these drug issues exactly as they have happened in the past three months. Logging and selling logs is prohibited by the Karen National Union [KNU] in the areas under their control. In 2016, there were some people conducting logging illegally in A--- and -B--- areas beside the Khoh Lo Klo [Salween] River, Bu Ah Der village tract. Bu Tho Township Forestry Department administrator and Karen National Defence Organisation [KNDO] officer from Bu Ah Der village tract had a meeting on September 8th 2016 and they decided to patrol and arrest those people [who were logging illegally]. Therefore, on September 12th 2016, at 7 am they patrolled the area between A--- area and B--- area. The KNU police and KNDO arrested three illegal logging conductors, but one of them died in the process. The KNDO or KNU police [who were patrolling together] accidently killed him when he and the other loggers were fleeing the KNDO’s warning shots. His name [the man who was shot] was Hpu Wah Hkoh. He was over 40 years old and he lived in C--- [refugee] camp. The other two illegal loggers, who were arrested, one of their names is Hpah H--- and I do not know the other’s name, but all of them live in C--- [refugee] camp. They know the KNU’s law, which forbids logging and selling logs, but they conducted logging in secret. As a result, the KNU Forestry Department administrator arrested them and sent them to Bu Tho Township office [police station]. [Bu Tho] Township Forestry Department administrator, some of [Bu Tho] Township’s officials, Karen Woman Organisation [KWO leaders], and [C--- refugee] camp leaders settled this case on October 8th 2016. They settled this case according to KNU’s law for people who log illegally. Regarding the case of the man who was accidently killed by [KNDO or KNU police], they [KNDO or KNU] paid 15,000 baht [$435.92 USD] compensation to the dead man’s family for his funeral. Regarding education in Bu Tho Township, no special things happened between September and November. The only thing that happened in Baw Th’ Raw village, Hpa-an Township [in the period between September and November] is that students did not dare to study in the village. They had to flee to D--- village, Htee Th’ Daw Hta village tract, Bu Tho Township because of fighting between Border Guard Force [BGF] and Democratic Karen Buddhist Army [DKBA]. Villagers repaired the school [in D--- village] in order for the students [from Baw Th’ Raw village] to study. They could not study in this school yet, but they will start to study there after they finish the school’s roof and walls. 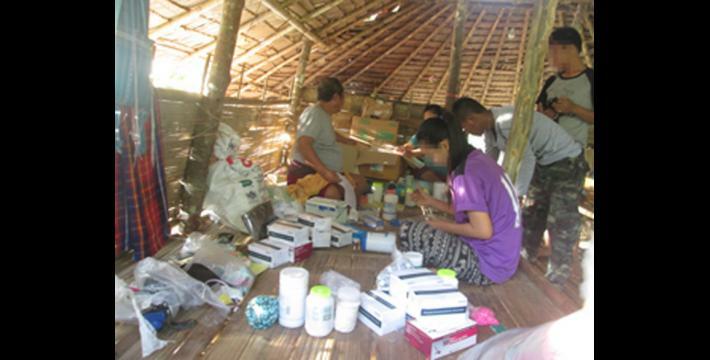 Regarding heath during three months [in Bu Tho Township] between September and November 2016, Emergency Relief Committee gave free medicine to the villagers in D---village, Htee Th’ Daw Hta village tract on October 13th 2016. 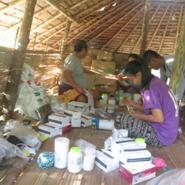 They [Emergency Relief Committee] also gave [free medicine to the villagers] in F--- area, Bu Ah Der village tract. Between September and November, I did not receive any special news [about landmines] in Bu Tho Township. I only received news in October 2016 that a Karen National Liberation Army [KNLA] Battalion Commander stepped on an old landmine in his area, which was planted by his friend. I do not know if his left or right leg was injured, but I know that he has already been discharged from the hospital. Regarding this three months Situation Update between September and November 2016, I would like to report that villagers responded [with agency] to many of their problems that they faced using their traditional beliefs. 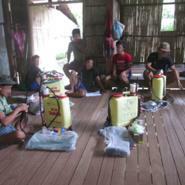 When insects attacked the villagers’ rice, the [Bu Tho] Township officers distributed insecticide to them [farmers] to kill the insects. When [villagers] conducted logging illegally, they were punished [by the KNU Forestry Department administration leaders]. Regarding [KNU] forestry department’s law, they [loggers] had to stay in prison for a month and had to pay five hundred baht [US $14.64]. This is not too heavy a punishment for the culprits. 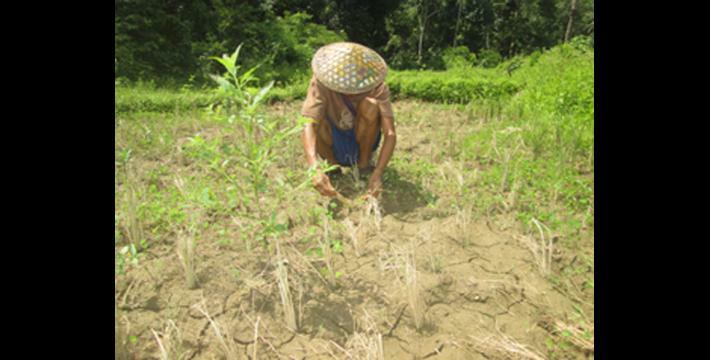 Civilians mainly work on hill farms and plains farms for their livelihoods. There are no other business opportunities except working on cardamom, durian, dog fruit, sesame and peanut plantations, and some of them sell betel leaves for their livelihoods. In regards to health, civilians who live close to Hpapun [Town], always have to pay money when they need medicine and when they need hospital treatment. They have to pay 3,000 kyats [US$2.17] for medicine per dosage and they have to pay 100,000 [US$73.17] kyat for hospital services. All conversion estimates for the baht in this report are based on the 24th of May 2017 official market rate of 34.41 baht to US $1. This is a common Karen way of speaking to express that they have experienced the same difficulties for long periods of time. All conversion estimates for the kyat in this report are based on the 24th of May 2017 official market rate of 1377.37 kyat to US $1.